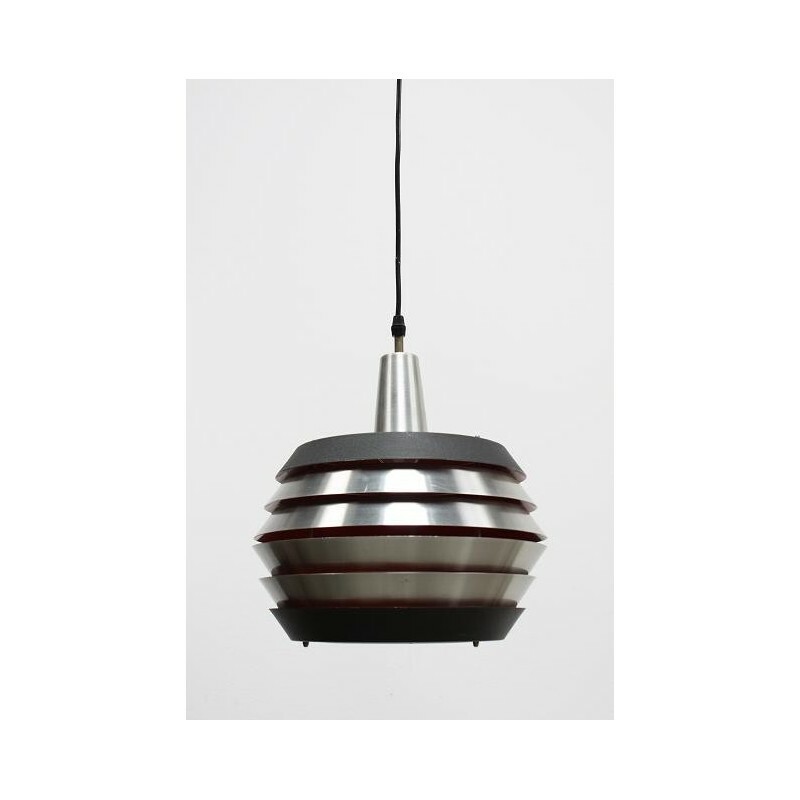 Vintage hanging lamp from Scandinavia. 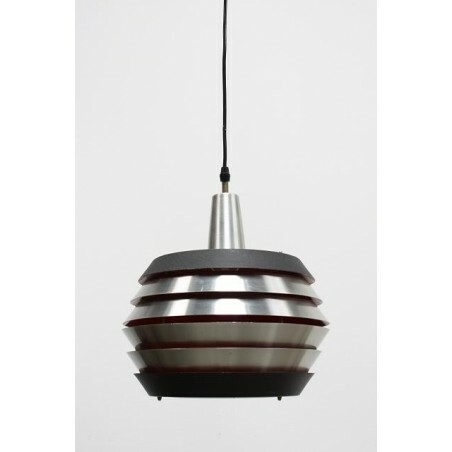 The lamp is made of several aluminium disks. The inside of the lamp is orange colored, this gives a nice effect. The condition of the lamp is good. The dimension is 30 cm in diameter and 30 cm high.